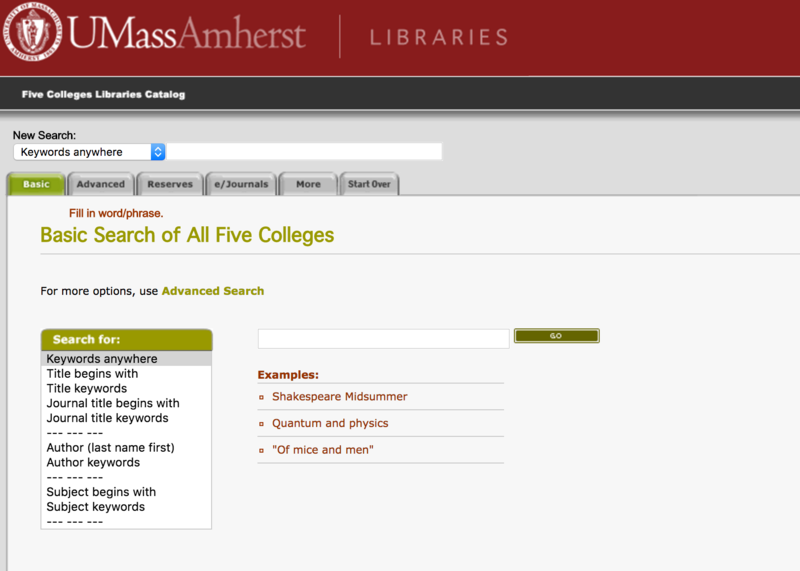 This is our all-in-one "discovery layer" called EBSCO Discovery Search (EDS) which searches across the 5 college library catalog, our local digital repositories, as well as many (not all) of our subscription databases. The Five College Library Catalog lists books, eBooks, reference books, videos, audio recordings, government documents, microforms, archives, and all other material owned by the UMass Libraries as well as Smith, Mt. Holyoke, Hampshire & Amherst College. Circulating books are arranged by call number in the stacks. Search for known items using "Title begins with..." or "Author" (last name, first name). Search for books on a topic using "Subject begins with..." or "Subject keyword." To order books not available here, click the Request Item button in the book record, and enter your library barcode number. Communication is an interdisciplinary topic, so relevant material will be found throughout the library. Here's a list of some broad topics with links to suggested sample "Subject begins with..." searches in the 5 College Catalog. Try other "Subject begins with..." or "Subject keyword" searches based on these examples. UMass Amherst students, staff and faculty can expand their research by searching other library catalogs and requesting material not available locally. 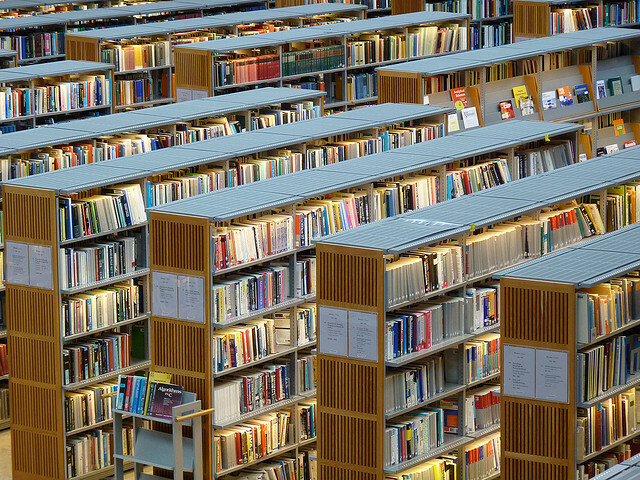 A catalog of most large U.S. libraries and many libraries in Canada, Japan and Europe. Create an Interlibrary Loan (ILLIAD) account to order books not held here. Public and academic libraries in Central and Western Massachusetts, searchable together or individually, plus the catalog of the State Library of Massachusetts.